Staying warm is half the battle: warm ski underwear is a baselayer for extra insulation. But ski baselayers and underwear offer much more in terms of functionality! Ski underwear keeps the body dry, protects against overheating and is naturally comfortable. Whether downhill or cross-country skiing or snowboarding with a warm layer, ski undergarments mean the trip can only be a success. So get on those two planks that mean the world and head off into that white gold! What can ski underwear do? As mentioned, a ski vest and ski under trousers have much more to offer than just being an additional layer of insulation. Ski underwear is a powerful foundation for sporting excellence, offering great insulation, support and outstanding functionality. 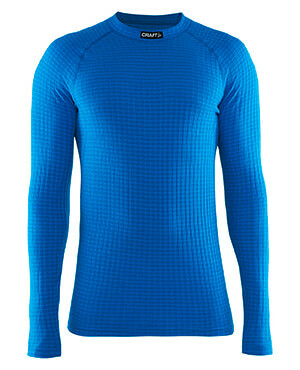 Combining a functional undershirt and functional baselayer is the perfect base for winter sports. High-quality ski undergarments are breathable and wicks sweat directly away from the skin. This keeps the skin always pleasantly dry. Temperature-regulating properties protect the body from overheating during strenuous activities. Soft fabric and flat processed seams ensure comfort and make the clothing fit like a second skin. With a functional shirt and functional underwear or long tights, you'll be well-prepared for any piste adventure. Woolen baselayers and underwear? You heard right! Baselayers and underwear made of Merino wool is far from the scratchy wool sweater that you might be picturing. Ski undergarments are made of Merino wool, which is very soft, absolutely itch-free, fine and still performs really well. The fabric is also highly breathable and provides excellent temperature and moisture regulating properties. In addition, Merino sheep wool is antimicrobial, so it doesn't absorb any nasty odors. Perfect for sensitive noses. The woolen fiber also has natural UV protection. Ski undergarments made of Merino wool are true jack of all trades and are 100% natural! For women or men, from Merino, or a high-performance synthetic fabric - ski underwear offers great quality, functionality and comfort. Off to the slopes! By the way, Houdini, Woolpower, Ortovox, Craft and the other known suppliers also offer beanies, ski jackets, ski socks and other clothing for winter sports!